Timothy Zahn’s Grand Admiral Thrawn is one of the most celebrated creations from the Star Wars Legacy universe. Bringing him back to canon was a great fan service and clever way to tease whatever Lucasfilm has planned for “The Unknown Regions,” of the galaxy. 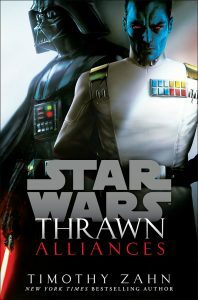 Zahn’s first novel, Star Wars: Thrawn was a re-telling of Thrawn’s origins. This follow-up novel sends Thrawn on a mission into “The Unknown Regions” with Darth Vader. 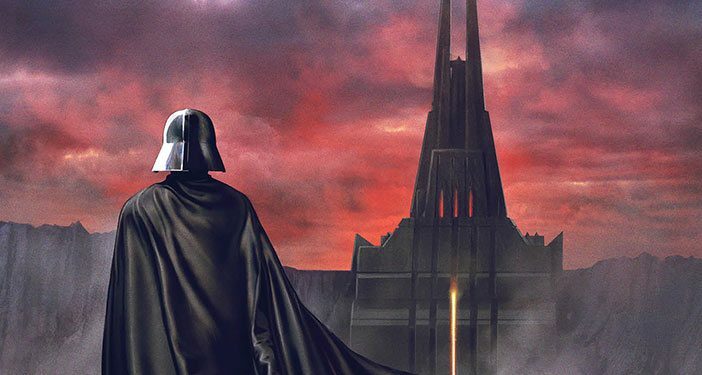 We’ve already seen how much plotting and manipulation exists between Palpatine and Vader in the remarkable novel Star Wars: Lords of the Sith. Adding Thrawn to the mix creates a test of wills unlike any we’ve ever seen. We all know Palpatine will be the winner of this contest, but it’s going to be a wild ride getting there. This novel could also have far-reaching implications for the post-Skywalker era. This a must-read for the second half of this year. Lando is experiencing a much-desired resurgence in the Star Wars universe, thanks to the Donald Glover’s show-stealing performance in Solo: A Star Wars Story. 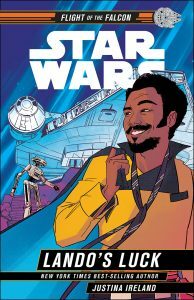 Now, fresh off the heels of a second Marvel Comics limited series and Daniel Jose Older’s Han/Lando buddy-caper Star Wars: Last Shot, comes Lando’s first solo novel, Star Wars: Lando’s Luck. This novel is a part of the “Flight of the Falcon” series, which is written for middle grade audiences, and focuses on Lando’s and L3-37’s adventures aboard the Millennium Falcon. 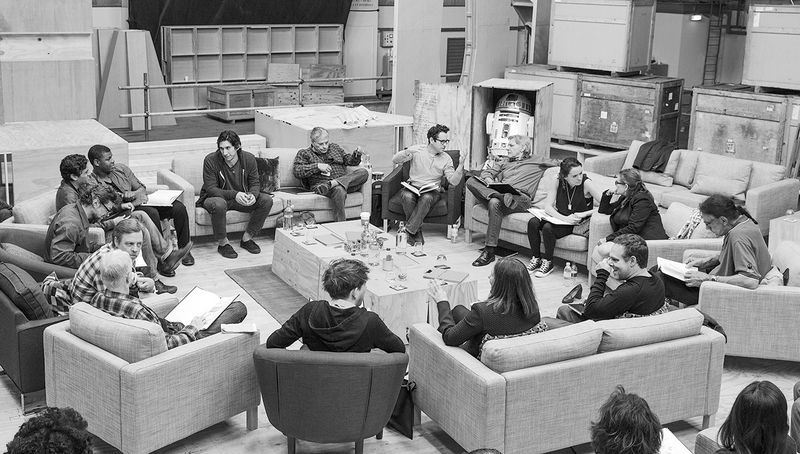 Despite the target audience, I’m excited to see another story featuring Lando and L3-37. Honestly, Lando and L3-37 was the relationship in Solo that amused me the most. I’m also a fan of Justina Ireland both as a writer and as a person, so I’ll be picking this one up. There’s no such thing as too much Darth Vader. Fortunately, Marvel Comics has made it a priority to give us all the Vader we’ve ever wanted. 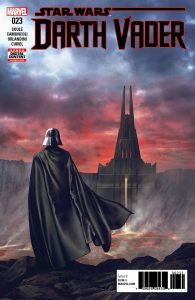 Despite having the unenviable task of following-up Kieron Gillen’s first volume of Star Wars: Darth Vader, Charles Soule has proven that he is more than capable of giving us solid stories about The Dark Lord. Soule’s run is all about Vader becoming Vader, so it was only a matter of time before he gave us what we’ve been waiting on since Rogue One: the story of how Darth Vader got his castle. This is set to be the next major arc of Star Wars: Darth Vader. If you haven’t started the second volume of this comic, you might want to start now. This book is a coffee-table companion, which automatically makes me want to buy it. Author Amy Ratcliffe takes us on a journey through the lives of 75 female characters from the movies, animation, comics, and novels. This book will feature over 100 illustrations from women and non-binary artists and it will be loaded with little-known facts about familiar characters. 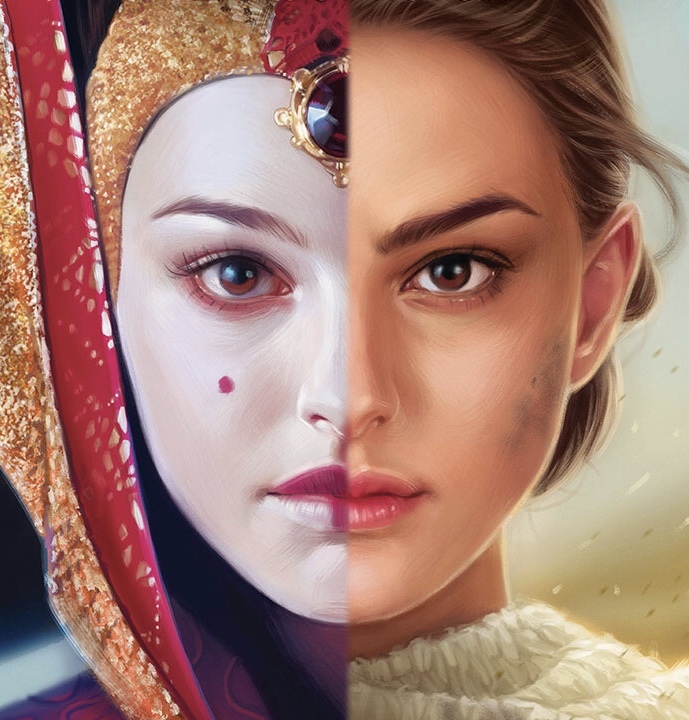 I’m a fan of Lucasfilm’s increased focus on women across the franchise, and I love companion books. 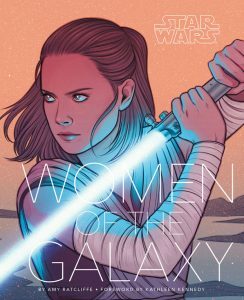 Star Wars: Women of the Galaxy looks like it will be a great addition to any bookcase. Despite being criminally underused in the Star Wars prequel trilogy, Padme’ Amidala maintains a strong and vocal fan following. With the upcoming novel Queen’s Shadow, E.K. Johnston hopes to redeem and reframe the character. 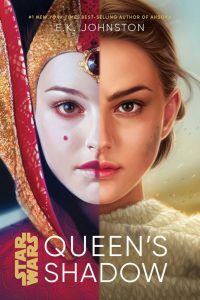 This novel follows Padme’s transition from Queen of Naboo to Republic Senator and aims to give us a more personal spin on Galactic politics. What I am particularly interested in is the role the cult-favorite Naboo Royal Handmaidens will play in the story. We’ve seen The Handmaidens serve as decoys in the films, but we haven’t seen them demonstrate their fabled combat skills. Though I thought Johnston delivered an uneven novel in Star Wars: Ahsoka, the last act was good enough to make me think this one is worth a shot. I can’t speak highly enough about Claudia Gray’s work with Star Wars. Gray is the single most important writer in the Star Wars Expanded Universe today. She has done a masterful job at breathing new life into revered characters and familiar stories. Her first novel, Star Wars: Lost Stars, retold the original Star Wars trilogy from the eyes of two star-crossed Imperial cadets. Her two Leia-centric novels, Star Wars: Leia, Princess of Alderaan and Star Wars: Bloodlines, gave us both the rise of The Rebellion and the fall of The New Republic as experienced by Leia Organa. This time, she’s taking on one of the biggest mysteries in Star Wars: Obi-Wan Kenobi’s youth. 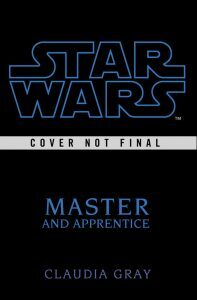 Star Wars: Master & Apprentice is all about the relationship between Obi-Wan and his master, Qui-Gon Jinn. Obi-Wan fans have been waiting for the new expanded universe to focus on Kenobi. Who better than Claudia Gray to give us this story? If a Kenobi film is really in the works, Gray will deliver the perfect novel to prepare us for it. 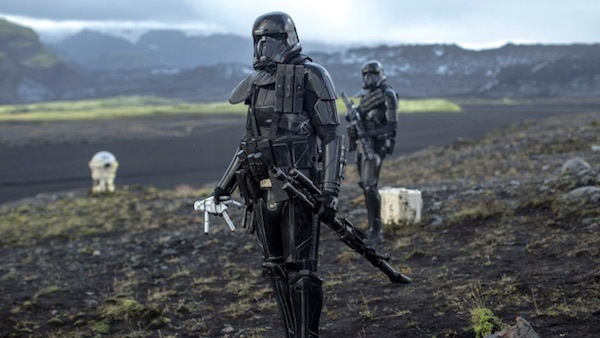 Lucasfilm has done a remarkable job pushing the limits of Star Wars through the printed word, and these new titles suggest that the best is yet to come. If you haven’t read any of the existing novels, I’d highly recommend picking up a few novels. Again, anything by Claudia Gray is a must read. Stay tuned to MTR Network to get our impressions of the titles listed above as they are released.